Every garden should have cucumbers. They grow easily and usually don’t give anyone any trouble. They simply require fertilization, good soil, water, sunshine and lots of space. As you provide these things you would think you would have a good crop of cucumbers, right? Well, not always. Once in a while you end up with misshaped cucumbers. Have you ever wondered what could be causing this to happen to the fruit? Read on to learn more. Deformed cucumbers can happen for a number of reasons. 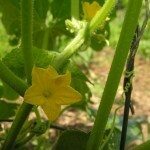 Poor pollination – If your cucumber is funny shaped, you might have a problem with pollination. 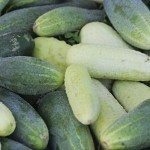 If there is a lack of insects in your garden area because you have been so diligent in removing or destroying them, you might find that there is nothing to pollinate your cucumbers. These plants require honeybees for pollination, and if there is a lack of bees in your area, you will have difficulties. This leads to misshaped cucumbers every time. 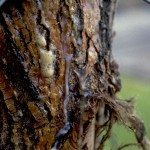 Pollination has obviously occurred because there are fruits, but if you have low insect activity, then the pollination process becomes interrupted, thus causing deformed fruits. 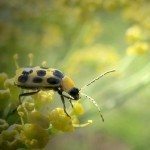 Temperature – Sometimes when the temperature gets too hot, it can actually kill the pollen in addition to keeping pollinators away. If this happens, you’ll have deformed cucumbers. 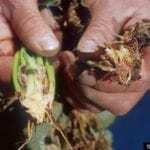 Insufficient water – Sometimes your deformed cucumbers could be caused by moisture stress. Cucumbers require plenty of water throughout the growing season. Fertilizer – Fertilization is needed in every garden. However, if your cucumber is funny shaped, you might need to back off your fertilization. Sometimes too much fertilizer can cause deformed cucumbers. As they mature, cucumbers require less feeding. On the other hand, deformities in cucumbers could mean there were insufficient nutrients in the soil right from the get-go. In this case, a side-dressing of fertilizer or compost will help.